Good dental care doesn't just involve regularly brushing and flossing and visiting your Gilbert dentist. Now you can ensure the health of your teeth without even being awake! Thermo-Guard night guards are composed of an elastic acrylic resin material and are thinner than traditional guards. They are self-adjusting and just need to be heated under warm water to mold to teeth. They're also very comfortable and require fewer adjustments. The NTI appliance is a tension suppression system, which means that it stops teeth from clenching. The small plastic device is worn over the two front teeth to prevent contact of the canines and molars. The object is to relax the muscles involved in grinding and clenching, which will help alleviate issues related to Temporomandibular (TMJ). TMJ disorders can cause pain in your jaw joint as well as the muscles that control jaw movement. 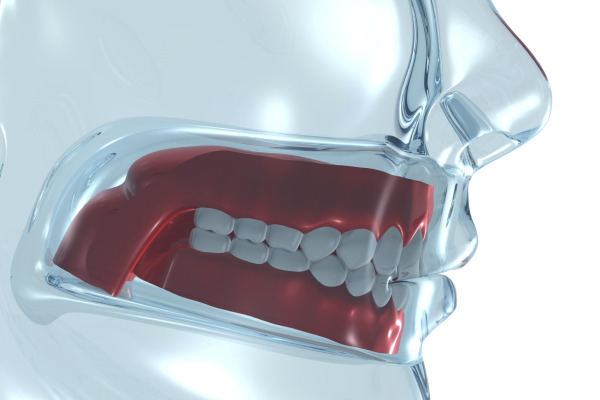 In addition to teeth and jaw-related issues, there are night guards that can help with other problems. Silent Nite is a thin and comfortable device that can prevent the unhealthy effects of snoring as well as sleep apnea. Silent Nite uses S-shaped connectors attached to upper and lower trays to position the jaw forward. This increases the airway space and also decreases air velocity and soft tissue vibration. The trays that the connectors are attached to are made of a soft inner layer with a hard outer layer that is both durable and BPA-free. Silent Nite has many other benefits, including minimizing stiff jaw joints and reducing the risk of diabetes and heart disease. At Red Canyon Dentistry, we work with a doctor who performs studies for sleep apnea treatment. If you've been plagued by this condition, you can come in to our Gilbert office to explore your options. In addition to looking good, we want you to feel good. If you believe that you can benefit from a night guard, we can give you all of the information you need. Dr. Oswald is the ultimate professional. His work is superb. He greets you while waiting in the office, calls after hours to insure all is well, and personally follows up with any additional consultation needed. He has gone above and beyond to improve my dental health. On a personal level, he is a man of integrity, honesty, and high character. A 5 star rating is really not enough. He is great. I'm not a fan of the dentist at all that I hadn't been in over 5 years. He and his staff made me feel very comfortable. This appointment was for a filling and he made sure I couldn't feel anything, brought me his iPod with calming music and called me later tonight to see how I was feeling. A wonderful person and dentist. He really cares about his patients.